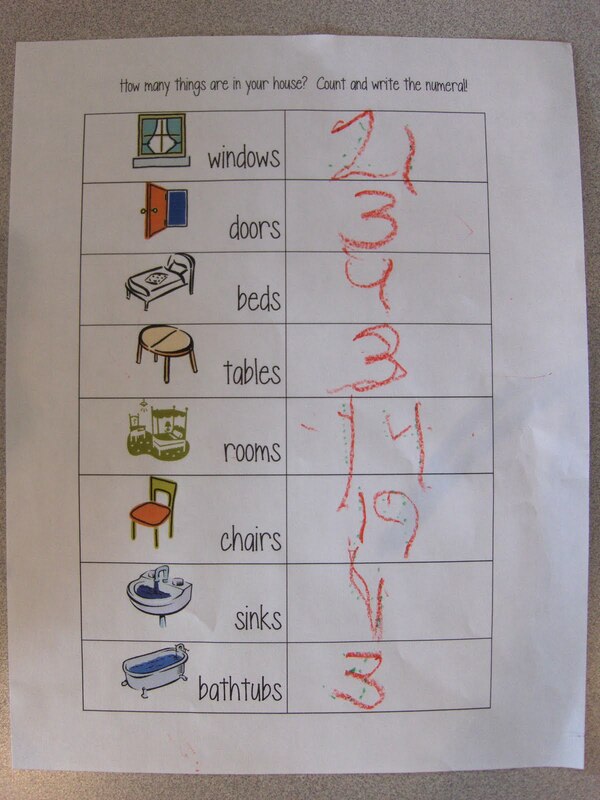 I found this “Count the House” printable at Let’s Explore. B had such a great time racing around the house and counting these items. I lightly wrote the number in the box and he traced it. Looking at the picture, we sure do have a lot of chairs and rooms! I didn’t think the definition of what made up a room and whether it was an adult chair, kid’s chair, or bouncie chair really mattered. I thought it was just neat to have fun counting. When we finished he said “Let’s do it again!”. 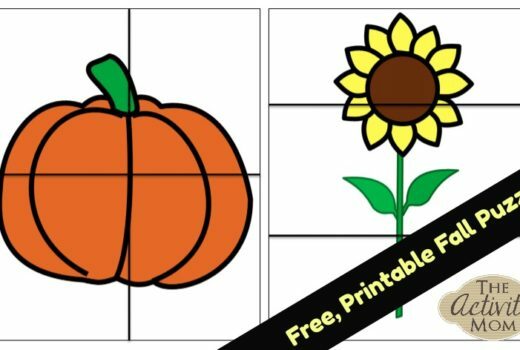 I liked the convenience of printing this activity ahead of time to have on hand. However, this activity could also be customized to fit your home or specific room by just getting out a piece of paper and drawing 4-6 items to count in your house. 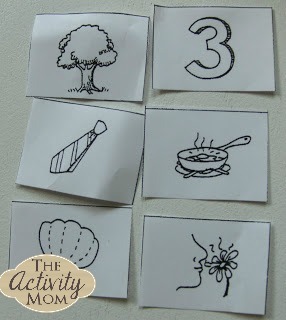 Make sure to take a look at all of our other Counting Activities for Kids! 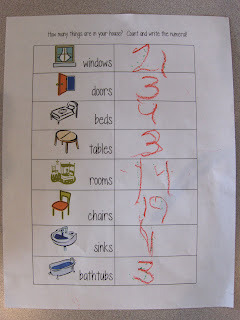 My kids’ preschool teacher had a fun activity for learning numbers I loved. 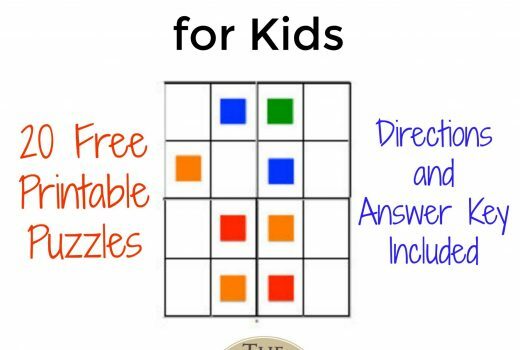 She would write a number a piece of paper and have the children stick the same number of stickers in a box or outlined shape next to the number. This is such a great idea thank you for sharing, I think we are going to do it this afternoon when Emily gets up from her nap!! I bet I could do this with JDaniel. wow I really like ur ides.. Nice way to keep kids busy. Thanx! Great idea 🙂 I printed out 2 copies, one for our house and one for the rental house that we’re staying at on vacation next week. We’ll do the rental first, and I’ll ask my son to estimate the number of some things at home, and guess which house has the greater number of windows, etc. Then we can finish the activity when we come home! Awesome! Thanks for providing the link – my daughter is a lot more interested in “meaningful activities” than in random worksheets. This is a great idea. My 3 yr old is going to love this project. Thank you for this great link. Just found you — you have some great ideas for the kiddos!